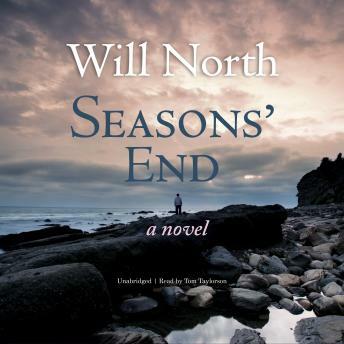 Building upon the success of his critically acclaimed bestseller, The Long Walk Home, Will North returns with a much-anticipated new title, Seasons’ End. On his way to work, Colin Ryan finds the woman whom he has loved for thirty years—his best friend’s wife—lying motionless on a dangerous bend in the road, unconscious and near death from alcohol poisoning. Believing she’s tried to kill herself, Colin does what he’s done since the beginning of their turbulent friendship: he nurtures and comforts her, this time with an eye toward solving the mystery that’s left her half dead on the foggy roadside. In signature North style, at once lyrical and gripping, Seasons’ End gathers a brilliant cast of characters—richly rendered and beautifully grounded—against the sumptuous backdrop of Washington State’s Puget Sound. This deftly written and at times deeply romantic and suspenseful novel will surely satisfy Will North fans, and more than likely create legions more.